Mike had suffered from osteoarthritis for approximately 10 years. He was in constant pain and could not function without his medication, which had increased from 3 tablets a day to 12, over recent months. He had read about BodyTalk and decided to give it a try, the promise of no medication and allowing his body to heal itself was very appealing. Within a couple of days of the session his symptoms had eased and within 2 weeks he was down to two tablets a day. He now has the ability to do sport again and is enjoying a quality of life that he thought was over for him. Over the past 4 years I have started experiencing severe discomfort in my abdominal area, irregular bowel movements, severe pain etc. I immediately assumed that it must be something that I am eating and slowly started cutting things out of my diet. The symptoms would briefly disappear and I would think that I had found the culprit, but within days the symptoms would return again and the whole process would start again. I had been sending my daughter for bodytalk and had seen tremendous changes in her and Caryn promised that it works for just about anything. I have now been a regular client for 6 month and can say with absolute conviction that BodyTalk works , my body is back to normal and I feel healthier than I have in a long time – Margaret. My daughter Caitlin is a very shy child. She would hide behind my skirts when we were out in public and become almost hysterical if we asked her to do something that she did not feel comfortable with, like walking up to a shop counter and paying for a purchase. I had heard about BodyTalk from one of the parents in Caitlins play group and went along because I wanted to see if there was an underlying cause for her shyness. Within 3 sessions she was a different child. Looking people in the eye. Stretching her hand out to greet others and not hiding behind my skirts. The change and confidence has been tremendous and I am just so pleased with the results – Janine. My son, 8 years old, had had warts since he was 4 and they seemed to be spreading. They were on the tips of his fingers, on his knees and on his eyelids. The doctors did not want to burn them off because of their position, but gave us ointment to put n the warts. We used the ointment for about 4 months and nothing happened. I had taken him to Caryn for a completely unrelated matter and one morning he came to me and told me in no uncertain terms to take him back to Caryn as she would fix his warts. I did. Within 3 days of the visit the warts were turning black and he now has no warts anywhere on his body – Val. Jack was a client who had suffered from Melanoma for years. He was undergoing extensive radiation treatment. He was anxious to try alternative therapies and decided that bodytalk would suit him. On his first visit he mentioned a tumour that had grown on his lower back. He said it was getting bigger by the day and was causing him great discomfort, as all the waist bands of his trousers ran straight across the tumour. For various reasons the doctors were not keen to cut it away. He asked if there was anything that could be done about it. I said that I would see what I could do. Two weeks later the tumour had died, all that was left of it was rotting flesh and by week 3 it had fallen off. I have been in a marriage for 25 years. For at least half of those years I have been dreadfully unhappy. I had gotten to the point where if I did not leave I would loose my sanity, but I had children to consider. Mine and my husbands unhappiness was starting to effect them. The unhappier I got, the nastier I got, I hated who I had become, I was nasty and bitter, I had no patience and took my unhappiness out on those I loved the most. I asked Caryn if she thought she could do anything about my temper and my dissatisfaction with life in general. She suggested that both my husband and I attend sessions, not necessarily at the same time. Within a week after the first session I started to feel calmer, we as a couple were not fighting, we were actually talking and communicating. 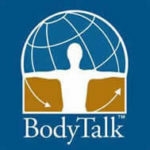 It has now been about 3 months since we started BodyTalk and I have seen such a difference in the atmosphere in our house. A friend noted today that she has never seen me so relaxed, calm and accepting. All my anxiety and angst seems to be a thing of the past. My son who is 4 years old is the loveliest and liveliest of boys. He is a smiley, inquisitive, busy child. Imagine my devastation when his pre -school teacher came to me and suggested that he was uncontrollable in class and that she suggests that we consider putting him on Ritalin. I had heard about Caryn from a friend who suggested I first go and see her before going to see a child psychiatrist. When we arrived he was very excited, he was running around and laughing, chasing the bunnies she has and generally just enjoying himself. She called him in and placed him on the therapy bed, Immediately she started tapping out his cortices he calmed down, lying on the bed not moving a limb. I was astounded. We have had a few sessions now and he has not lost any of his loveliness but he has calmed down significantly, so much so that the teachers have commented on the changes and thanked me for putting him on medication. When I told them he was not on medication, that it was just the BodyTalk treatment that he was receiving they could not believe it. I am so pleased that I tried this route before trying medication – Beatrice.